Combining sketches, acetate and printed transparencies. The activity of simulating a sense of place and atmosphere is a way to suggest that an artist is not only organizing an image, but a composer of what could be true. This work was honored with an Individual Artist Excellence Award for the Ohio Arts Council. 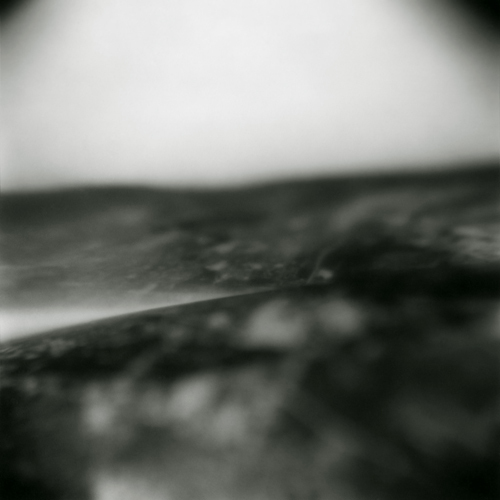 Untitled, from Atlas series, 2012, gelatin silver print, 10 x 10 in.